Hear many find new townhomes less attractive due to the lack of land/space resulting in multiple (3 or more) storey design. Those who look for a town to actually live in tend find existing 2-storey home with more practical layout. 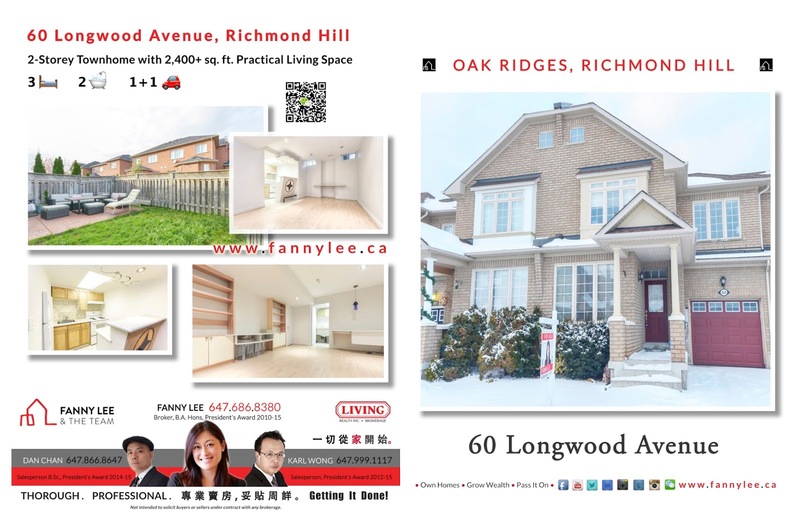 If you are one of these searchers, check out 60 Longwood Ave in Richmond Hill. 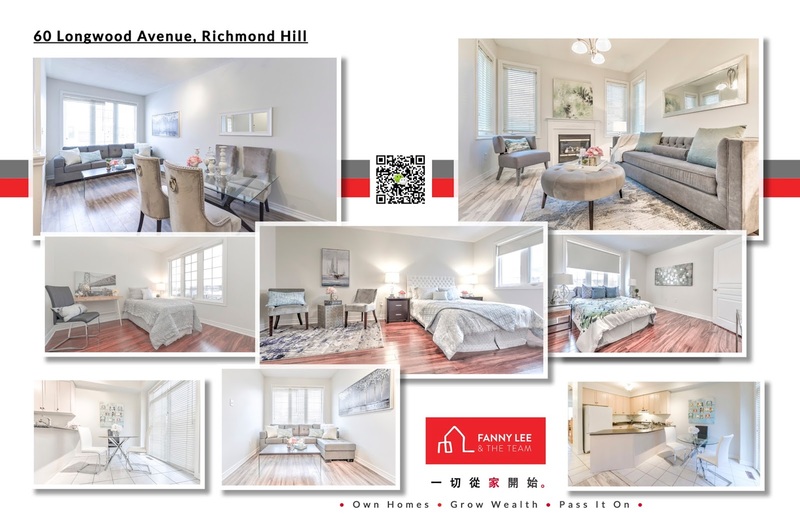 MLS # N4024050 "Absolutely Stunning New Reno Townhouse With Excellent Layout And Over 2000 Sq Ft. Living Space. Upgraded Laminate Throughout. Newer Carpet On Staircase & 2nd Floor Hallway. New Paint, Professional Finished Basement With 2nd Kitchen. Master Retreat With Whirlpool Tub, Sep. Shower, Large W/I Closet With Organize, Sun Filled Every Corner With 9' M/F With Large Windows. Close To All Amenities. Schools And Parks. Must See. **** EXTRAS **** All Elfs, 2 Fridges, 2 Stoves, Dishwasher, 2 Vent Hoods, Washer & Dryer. Cac, Fireplace, Gdo, Window Coverings & Drapery, Access To Backyard Via Garage. Central Ac. Custom Lighting, Gas Barbecue, Pattern Patio Stone, Pattern Concrete Patio."